Ready for Another Quilt Along? Thank your Lucky Stars! Summer is a great time to start a new quilt. With more lazy days and fewer responsibilities you can sew to your heart’s content! 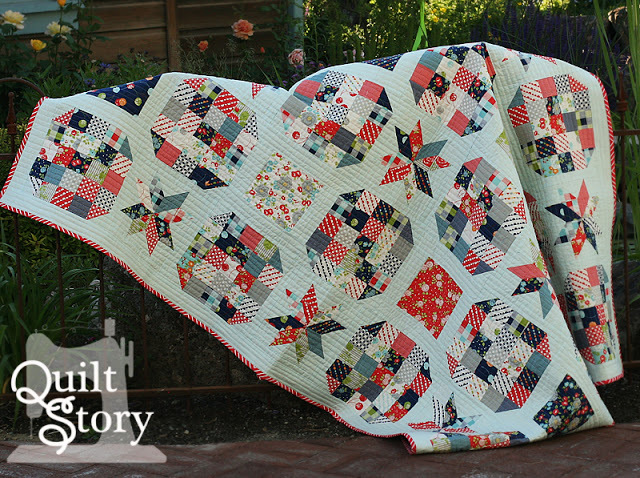 Luckily, my friends Heather and Megan over at Quilt Story are launching a brand new summer quilt along. 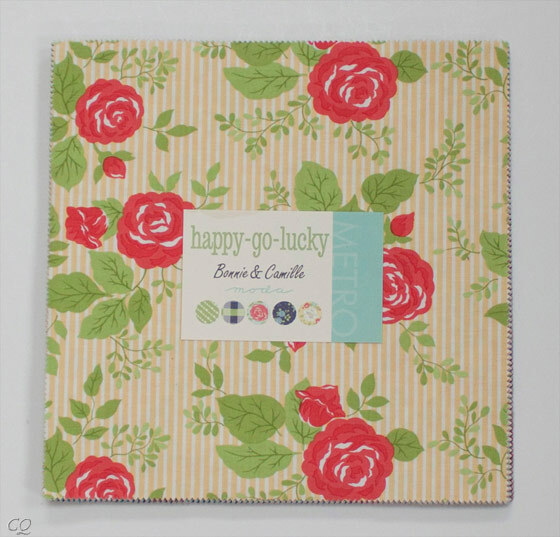 They are calling it Lucky Stars featuring Bonnie and Camille’s Happy Go Lucky line. Heather has chosen to make her quilt in patriotic red, white and blue. Aren’t they both fabulous? And so different from the same set of precuts! Heather and Megan have asked me to provide some fabric for the quilt along and I’m happy to oblige. 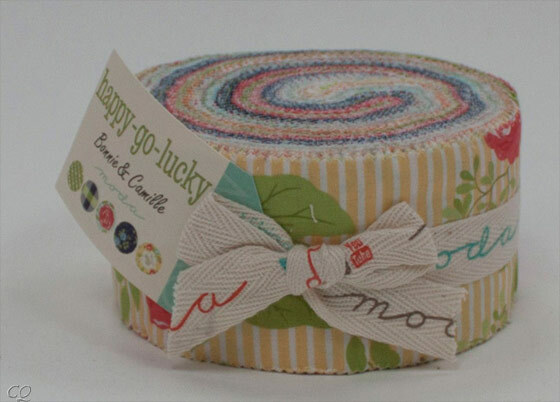 I’ve put together a starter kit combo of one Jelly Roll and one Layer Cake of Happy Go Lucky which will allow you to make either quilt! 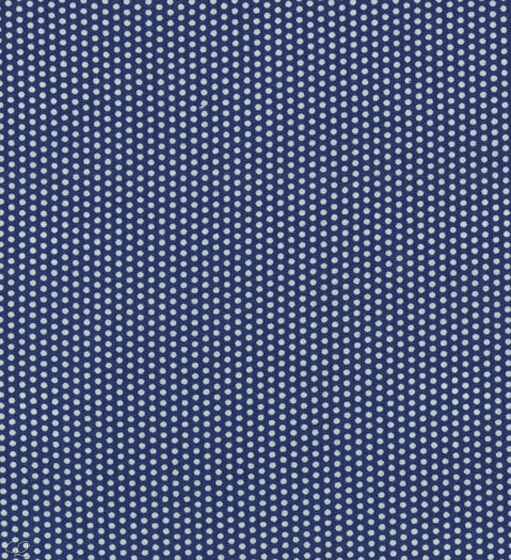 All you have to do is add 2.5 yards background fabric in whichever color scheme you wish. I’ve selected a few coordinating prints that you can choose for background, binding or backing. 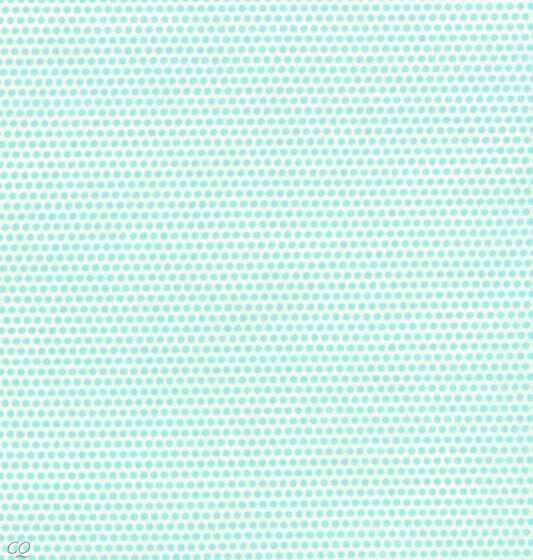 Heather chose light aqua penny dots for her background while Megan chose the darker navy penny dots for hers. I know it’s a lot of fabric to invest in a quilt, so to make it easier on the budget I’m also offering this coupon: use code STORY to save an extra 10% off your entire order. Plus you will automatically get FREE US shipping (discounted int’l shipping), too! And of course, you can pick fabrics from your own stash, too. Be sure to bookmark Heather and Megan’s blog so you don’t miss out on all the updates. Happy quilting! Thank you, that helps planning to know how many of each (I love Riley Blake and they only use about 20 strips and 20 pieces per roll and cake). And did they say how big the quilt is? How many strips of the jelly roll and how many pieces of the layer cake are used? Some rolls are design rolls and only have 20 pieces. According to Megan and Heather it will be about 30 jelly roll strips and 17-20 layer cake squares. Hope that helps. I’ll also answer this on the blog. Good point! I think it was 30 jelly roll strips and 17-20 layer cake squares. I like the red white and blue patriotic quilt design. I like the shades of aqua, lime and navy with a hint of yellow and grey. It’s amazing that is same collection of fabrics. I knew there was a reason my mom just gave me a jelly roll of beautiful batiks! I picked up a layer cake of coordinating batiks – I’m ready to go! I am looking forward to this quit-a-long. I will select my fabrics from my stash today. Thanks. I love this quilt along, the quilt is gorgeous! When I received this email I jumped up and down! Oh Christa thank you so very much for sharing this! I have been down lately since my grandchildren moved and seeing that first quilt really cheered me up. Wow – amazing that the quilts can be so different from the same line of fabric. I love them both!